The Taj Mahal...one stop on TAMIU students' travels. Texas A&M International University students brought “The International U” to life over the Wintermester in Study Abroad programs to six countries. Some 67 students and 10 faculty members participated in Study Abroad programs in Belize, China, India, Ireland, Italy and Spain. Belize - Communication Disorders; China – International Business; Ireland – International Leadership; Italy - Art and Spain – Culture and Language. Two programs, one for history and the other the University’s popular annual Reading the Globe Program, will go to India. Triana González, TAMIU associate director for International Engagement, said TAMIU Study Abroad programs are offered on virtually every continent and financial assistance is available. “TAMIU Study Abroad is a discovery process, a discovery of foreign language and academics, countries and cultures, but most importantly it is a discovery for the student themselves. Our comprehensive Study Abroad programs are designed to educate and enrich, and we have a broad range of financial aid and student services to guide students in this life-changing discovery,” González explained. To learn more about the University’s Study Abroad programs, contact González at 956.326.2565, email triana.gonzalez@tamiu.edu, visit offices in Student Center 226 or click on http://www.tamiu.edu/international/studyabroad.shtml, or call. Members of the University’s Reading the Globe Program will travel to India this holiday season. Front, left to right : China Lorae Jennings, Christine Annette Segovia, Cynthia Maria Urteaga, Emily Giselle Estrada,Valeria Michelle Valdez, Alyssa Ariene Gibeaut. Middle row: Alexander Thomas Simpson, Victor Alexis Rodríguez, Carlos Alberto Fuentes, Jr., Maribel Gomez, Johanna Elizabeth Webb. 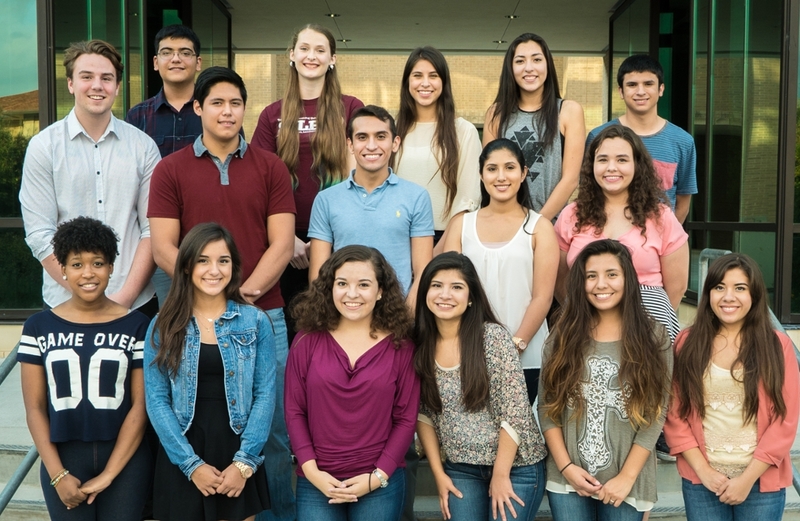 Third Row: Erick Uriel Vazquez, Megan Jean Unrath, Talitha Sophia Wisner, Alexia Noehmi Villarreal, Alejandro Benavides.